Home › Promotions › 10% off Luggage in the month of August! 10% off Luggage in the month of August! Don't wait! 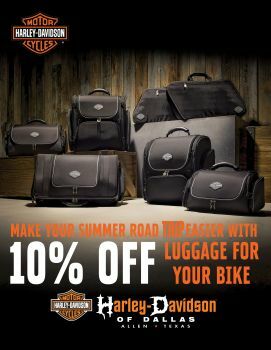 Stop by our Allen location to Buy Motorcycle Luggage today!